This work presents as paper sculpture a three-dimensional translation of the Amman lines that appear across the artist’s explorations of fivefold symmetry, undertaken in collaboration with geometer Einar Thorsteinn. The shape, the compound of five cubes, is one of the five regular polyhedral compounds and was first described by Edmund Hess in 1876. As the name suggests, the form is created by arranging five cubes symmetrically within each other. 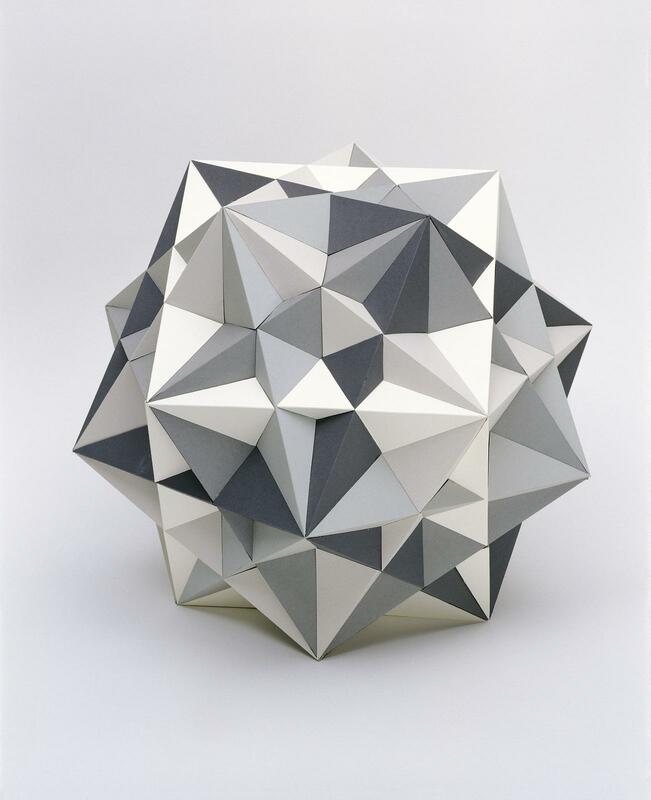 The work colour-codes its five cubes in black, white, and three shades of grey spanning between those two, allowing the five cubes to be isolated by focusing, in turn, on the various colours. 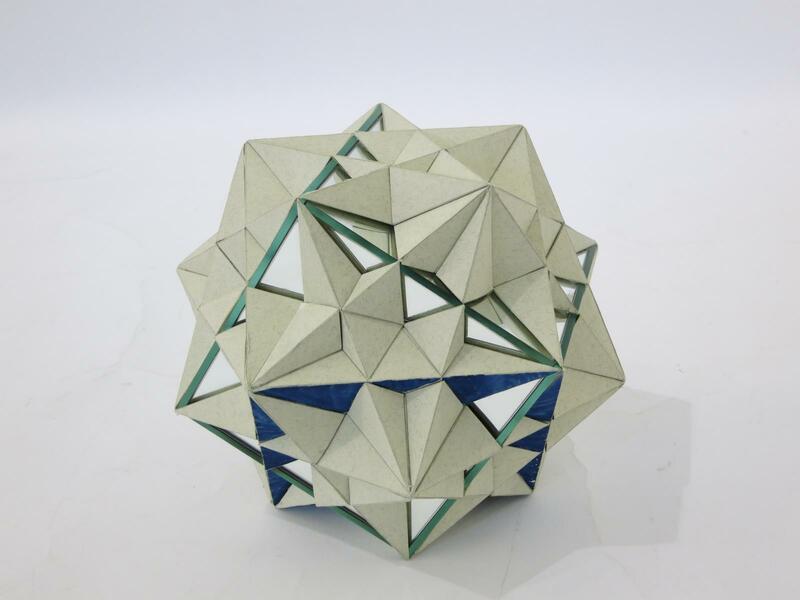 The sculpture helps make explicit the relationship between the shape as a solution to the five-cubes-in-one problem and the golden ratio principle, which is the basis of the Amman line arrangement that underlies 5-fold symmetry.